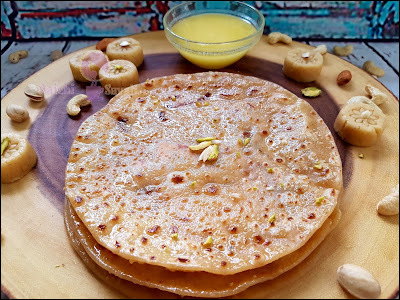 prepare Puran poli then definitely this instant khava poli will save you and this Khava Poli is taste heavenly with ghee. Khavyachi poli is a traditional Maharashtrian recipe and is prepared during a festival. 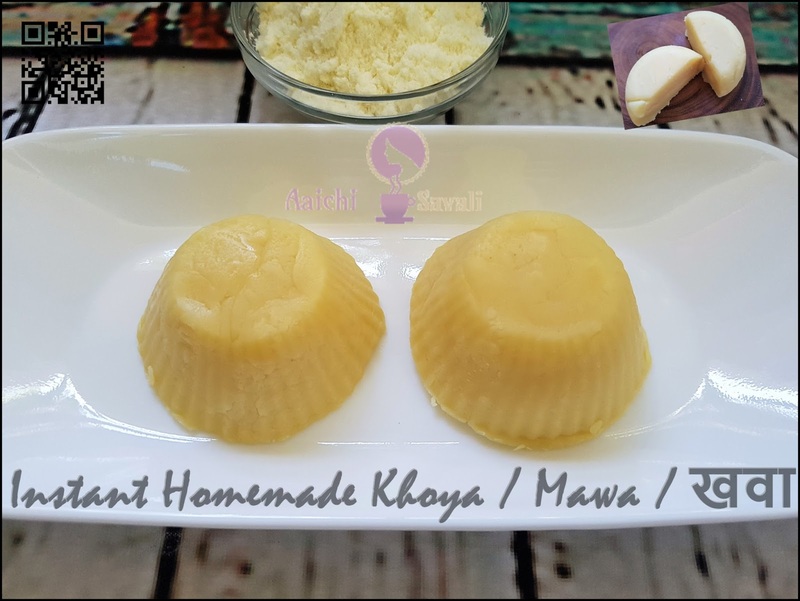 It is rich in taste, and sweet and creamy khava makes it one of my favorites. I remember my mother used to give me this Khava Poli in a tiffin box. Give a try to this recipe on a festive day or a party, to surprise your family and guests by preparing something sweet and rich in taste within 10 minutes of your time. Each Khava Poli carries 223 kcal. 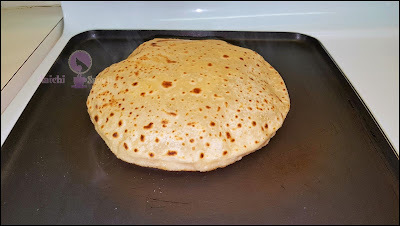 In a mixing bowl add wheat, salt and veg.oil 1 tsp and by adding water knead a normal dough as in roti / paratha and keep aside. 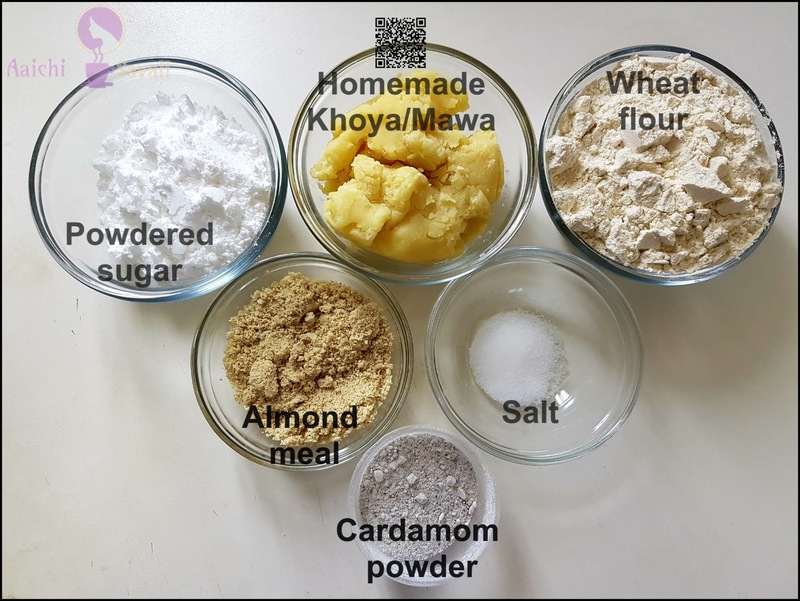 In another bowl add grated khoya(I have used homemade fresh khoya), dry fruits meal and powdered sugar and cardamom powder. Mix all very well and divide it into equal portions. Place a portion of the Khoya or Mawa stuffing in the center and fold the edges of the dough over the filling. Pinch the edges together to seal the filling. Flatten the dough and roll again to make Khoya poli using a little whole wheat flour for rolling. medium flame, till it turns golden brown in colour from both the sides by smearing ghee or oil. Repeat with the remaining dough and make more khava polis. Smear a little ghee on each khoya poli and serve hot. 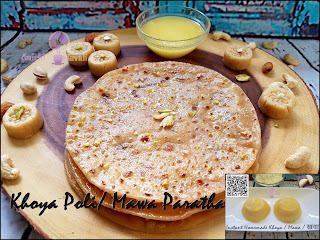 Here, delightful, flavorsome and sweet Khoya or Mawa Poli is ready to serve. Serve hot with milk, ghee. Enjoy!!! 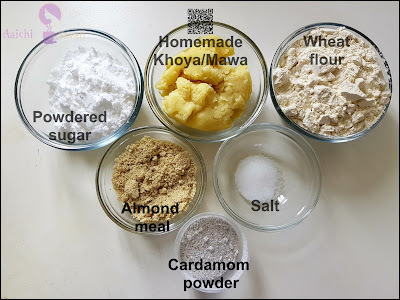 Instead of almond meal, you can also use dry roasted gram flour to prepare khoya stuffing. If you have leftover Khoya peda or burfi you can prepare instant Khoya Poli. 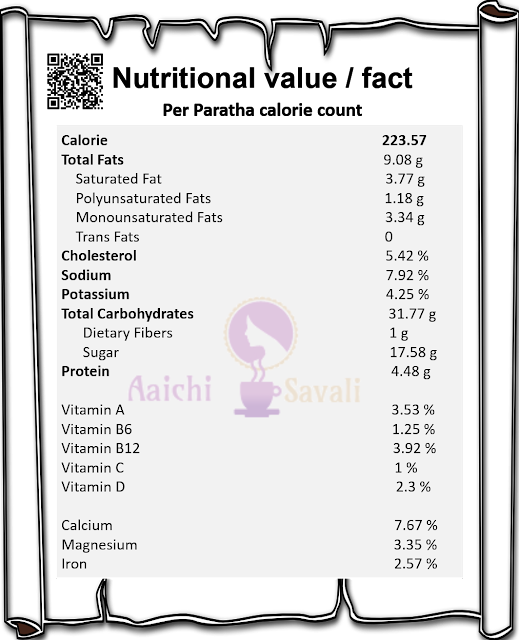 Per serving contains 223.57 calories, along with carbohydrates - 31.17 g, dietary fibers - 1 g, fats - 9.08 g, proteins - 4.48 g.
It's good to eat khava poli for lunch or as a dessert too!